The frozen waffles taste like bread pudding! 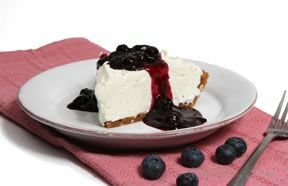 And the sweet homemade blueberry sauce is just the right topping. 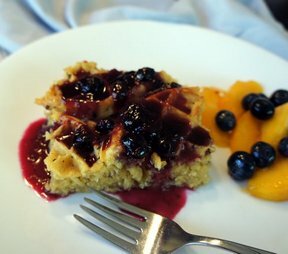 Layer frozen waffles in a 9x13 inch pan. In a large bowl, combine milk, eggs and cinnamon. Pour over waffles. Cover and refrigerate over night. 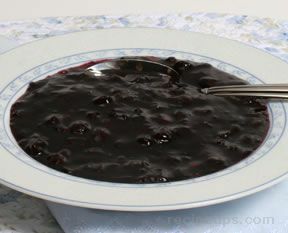 For blueberry syrup, place blueberries, water and sugar in a medium saucepan. Cook over medium-low heat, stirring constantly, until thick and reduced. Bake waffle egg bake in 350 degrees F oven for 30-35 minutes. 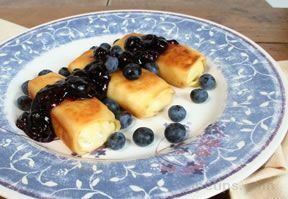 Top with blueberry syrup. "It really does taste like bread pudding! Surprising how delicious it was considering how easy it was and to use frozen waffles. Kids loved this."